On Monday, May 25, 2015, the second annual Bike Day in Canada will bring together people on bikes, cycling organizations, members of all three levels of government and the business community to highlight the importance of cycling development in Canada as a healthy, wealthy and environmentally friendly form of physical activity, transportation and tourism. Check out events across Canada. Canada Bikes wants to involve you and your organization in this exciting movement to advance cycling in Canada! The signature event of Bike Day in Canada, Bike Day on the Hill in Ottawa organized by John Weston MP as an all-party cycling initiative, has attracted interested citizens, cycling advocates and Federal politicians. We are seeking a commitment from cycling advocates, organizations, business leaders and government representatives to organize a ride or cycling-related event in your area on May 25, 2015 as part of the second annual Bike Day in Canada. 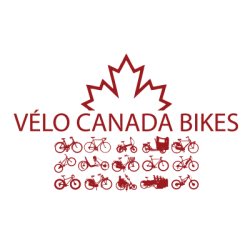 Canada Bikes encourages local cycling events across the country that engage members of the public, politicians, and businesses, to advance all forms of cycling in the community. Bike Day in Canada is a non-partisan initiative with support from members of all political parties and Canada Bikes. Check out the 5-minute video of the Bike Day in Canada 2014 event in North Vancouver. If you are interested in organizing a local event or would like to sponsor Bike Day in Canada 2015, contact us today! Arne Elias, Board Chair : contact via email. Getting involved with Bike Day in Canada? Tweet @Canada_Bikes about your event leading up to and on May 25, 2015 using the Twitter hashtag #BikeDayinCanada! Bike Day in Canada is associated with National Health and Fitness Day that takes place on the first Saturday in June of each year. Check the Events page for Bike Day in Canada 2015 event information. It is updated regularly. See the media room for other media releases and media coverage. The Third Annual Bike Day on the Hill – 4:30-5:30pm. Meet in front of Centre Block, Parliament Hill, Ottawa. Come out and demonstrate that you care about health, cycling, and the environment! National Media are invited. 4:45pm – Photo op. 5:00-5:30pm – Ride the 6km bike route. Bikes and helmets will be provided for optional ride. Riders must abide by the rules of the road. Free to participate. Organized by John Weston, MP for West Vancouver – Sunshine Coast – Sea to Sky. RSVP to john.weston@parl.gc.ca. Meet at 12 noon at City Hall for a 5km ride around City Hall. Free to participate. In association with Canada Bikes. Contact Fiona Walsh. HUB: Your Cycling Connection, the North Shore Safety Council and Canada Bikes are joining forces, with bells ringing, on the North Vancouver Civic Plaza to bring attention to the first ever Bike Day in Canada. Canada Bikes is inviting the Mayor, Councillors and City Staff to join them on one of two rides around City Hall — a short 2 km ride or a longer 10 km ride – to celebrate Bike Day in Canada and show support for cycling. We’re also inviting school children and their families to have fun at the North Shore Safety Council’s Bike Rodeo and to talk to HUB members, bike mechanics and just ordinary people who cycle sometimes (or more) because it’s a healthy, economical and environmentally friendly form of transportation. We’ll even have some electric-assist bikes for interested, would-be-but-for-the-hills cyclists and refreshments for participants. Come and join people of All Ages and Abilities (AAA), from 8 to 80, on the Civic Plaza on May 26 from 3:30 – 5:30 pm PT. Free to participate. In association with Canada Bikes. Contact Fiona Walsh. Parksville Community Ride with the Mayor and Council. This ride will start at 4:00 pm and will begin and end at the Parksville Community and Conference Centre. Free to participate. In association with Canada Bikes. Contact Jim Swanson. Please do not show up at the previously communicated starting point as the event has been cancelled and no ride will take place. Thank you for your understanding. Bike Day in Canada will be celebrated with a ride from downtown St. John’s to Cape Spear and back starting at 9 am on Sunday, May 25th, 2014 with Canada’s Athlete of the Millennium, Senator Nancy Greene Raine and friends. For more information call 613 402 5154. After School Bike Repair Workshop – 3:30-6:30pm, GC Huston Public School. Free to participate. In association with Canada Bikes. Contact us. Family and Friends bike ride along the Saugeen Shores Railtrail to Saugeen Shores Council meeting. Departs from GC Huston Public School at 6:30pm. Free to participate. In association with Canada Bikes. Contact Laura Robinson. Deputation on Active and Safe Routes to School at Saugeen Shores Council meeting. Meeting starts at 7:30pm. 600 Tomlinson Drive, Port Elgin. Free to participate. In association with Canada Bikes. Contact Laura Robinson. UPDATED! The Technical Guide for official Bike Day in Canada organizers and sample Partipant Event Waiver are now available as separate documents. Notice: The list is provided for information only. The events and programs listed below are not organized by Canada Bikes, the office of John Weston, MP, the venues at which these events and programs take place or by those organizing, officiating, staffing, or participating in these events and programs throughout the year, including their respective officers, directors, members, employees, agents, servants, volunteers and representatives. Kick-off for Bike to Work Week 2014 May 26 to June 1. Join 20,000 others and discover what they enjoy about riding their bike instead of driving their car to get to places. Organized by Bike to Work BC. Kick-off for Bike to Work Week May 26 to June 1. Bike to Work Week uses events, friendly competition, and online interactive tools to encourage people to start riding to work and to celebrate those that already do. Organized by HUB. Cycle 55+ half-day ride. Departs from the Seniors Centre at 9:00 am. The group rides for at least 4 hours at a pace of about 15 km/hr on varied terrain (road and gravel). Route is emailed prior to ride. Helmets mandatory; spare tube light, pump, bell and mirror recommended group. Pre-registration and pre-payment required. Route will be shared via email. Organized by District of West Vancouver. Bike to Work Day at Gore Park. Commute to work or school on your bicycle on Bike to Work Day – Monday May 26th and celebrate Hamilton as a cycling and active community. Free to participate. Organized by Cycle Toronto. Bike to Work Day – 25th Anniversary Group Commute and Pancake Breakfast. Ride with hundreds of cyclists from Yonge and Bloor at 7:30 am to Nathan Phillips Square and enjoy a free pancake breakfast when you get there! Free to participate. Organized by Cycle Toronto. Bike to Work Day Community Start Point – High Park/Bloor. Ride with your fellow W13&W14 cyclists from High Park to City Hall for free Pancakes! Free to participate. Organized by Cycle Toronto. Bike to Work Day Community Start Point – Beaches East Waterfront Trail Ride. Join this community start point and group ride to the Nathan Phillips Square pancake breakfast and Bike Month kick-off. Free to participate. Organized by Cycle Toronto. Bike to Work Day Community Start Point – Dundas East and Kingston Road.Join this community start point and group ride via the Dundas, River & Shuter Bike Lanes to Nathan Phillips Square for a pancake breakfast and Bike Month kick-off. Free to participate. Organized by Cycle Toronto. Bike to School Day 2014. Cycle to participating public schools across the city. Organized by Toronto District School Board. Schools are encouraged to check out Cycle Toronto’s Bike to School Project page for ideas and resources. Bike to Work Day – Markham &amp Richmond Hill. Smart Commute Markham-Richmond Hill will host a police escorted group ride around the Hwy 7 and Leslie corridor. There will also be free bike safety checks and cycling information on hand. Organized by Smart Commute Markham-Richmond Hill. Bike to Work Day – Newmarket. 8th annual bike to work day. Free to participate. Organized by Smart Commute Central York. Organizing or attending any of the above events? On Facebook, be sure to ‘Like’ Canada Bikes and the Bike Day in Canada event page and let people know that you’re going. On May 26, let participants and fellow riders know that it’s Bike Day in Canada by tweeting using the Twitter hashtag #BikeDayinCanada and by uploading and sharing your event photos! Attended an official Bike Day in Canada event? Please take two minutes to complete our online survey. (No personal information is collected.) Thank you!